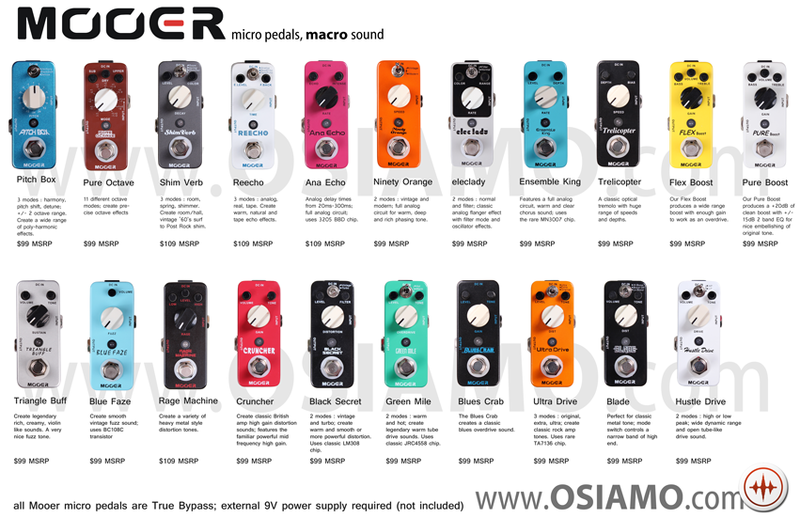 Osiamo is showing a Mooer micro pedal board at this year’s CMJ / Deli Stomp Box Exhibit. The event is being held at Main Drag Music in Brooklyn NY on Friday, October 19 and Saturday, October 20 from 12pm-9pm each day. We fit an incredible 21 pedals on a board! The Mooer micro pedals are an incredible value and space saver. Just bring your guitar to the event and plug and play. It’s that simple. For more details about the event click here.